We’ll be announcing the winners and presenting the trophies at InfoComm 2014 in Las Vegas in June — and of course covering the winners online and in the printed magazine. But not before you vote (deadline to vote is May 7th). VTX V20 features the advanced technology and performance of the groundbreaking VTX V25 in a smaller format, high power density 3-way system complemented by a new suspension system that provides efficient transport, fast setup and precise configuration. All VTX V20 components have been specifically engineered to provide stable 110 degree horizontal coverage and effective line source array coupling from 0 to 12.5 degrees in the vertical plane. A new small format version of the patented, D2 Dual Diaphragm Dual Voice Coil High Frequency (HF) compression driver combined with JBL Professional’s new Ultra-Linear 4” Mid Frequency (MF) and 10” Differential Drive™ Low Frequency (LF) transducers comprise V20’s 3-way system design (2 x LF, 4 x MF, 3 x HF). winning cellular drive with intelligent software, it delivers more consistent sound across the audience, right from switch on, and reduces sound spill. With 9 channels of DSP and Class D amplification housed in its companion MSX mini-sub power plant, the user specifies exactly what SPL and frequency response is required throughout the audience, and intelligent software controls each cell in the array to produce that result. For convenience, 4-box MLA Mini arrays can also be optimized using onboard presets instead of computer control. The self-powered LYON™ linear sound reinforcement system is the newest addition to the LEO Family. Incorporating the performance of LEO in a lighter and more compact package, LYON stays linear across all frequencies and at very high sound levels. It translates a mix to the audience with exceptional precision. LYON loudspeakers are available in two versions. Complemented by the 1100-LFC low-frequency control element and the Galileo Callisto loudspeaker management system, the LYON-M anchors a powerful system for arena and large auditorium installations, as well as tours and festivals. The LYON-W serves as down fills to augment a LYON-based system. 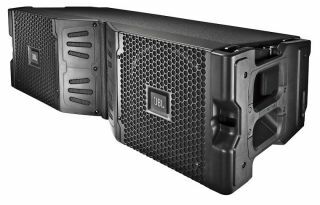 The MJF-210 is Meyer Sound’s lightest stage monitor and brings the advantages of self-powered systems to the stage, including reliability, low distortion, and ease of setup and configuration. Built for the demanding needs of today’s live productions, the MJF-210 features a low-profile design with an impressive power-to-size ratio. At less than 14 inches high and weighing 67 pounds, it withstands the rigors of road and stage while occupying a fraction of the truck space of similar monitors requiring external amplification. The HDX-W20 FLEX is the most compact, rugged 20K lumens projector, now standard equipped with a light-on-demand option for flexible light output. Rental & staging companies can fully tune its light output to the customer’s event, adjusting from 10,000 to 20,000 lumens in 2,000 incremental steps. Building on Barco’s renowned AthenaTM scaling, the HDX provides on-board image processing for unlimited, flexible scaling. This boosts creativity and minimizes time required to get sources on-screen. It’s also the smallest and lightest 20K lumens projector on the market, featuring just five building blocks that can be removed and replaced quickly. With 14,000 lumens, the NP-PH1400U NEC Display projector is a professional installation model that can operate 24/7 and is designed for higher education, houses of worship, and corporate and retail environments. Powered by a unique 3-chip 0.96-inch DLP system, the NP-PH1400U is a WUXGA resolution projector featuring a design that creates quality, larger-than-life images under virtually any operating condition to take on the most demanding integration projects. The NP-PH1400U is the third projector in NEC’s lineup to offer Open Pluggable Specification (OPS), the first industry-wide standardized in option slots to simplify installation, use and maintenance while offering input flexibility. Digital Projection International's 10,000 lumen HIGHlite LASER stands as the brightest laser hybrid solution available to the Rental & Staging market today. The HIGHlite LASER’s 20,000 hours + of illumination life allows for continuous operation with minimal maintenance needed and no lamps to replace. With no lamps to replace, the HIGHlite LASER also delivers unmatched lifetime cost of ownership per brightness output. Additionally, the HIGHlite LASER offers unprecedented installation flexibility – meaning, there are no limits in the direction that you can tilt the projector. Venues can create imagery positioned vertically, horizontally, and everything in between, without degraded light source lifespan. The SX914 is the brightest choice for any meeting space. Light and compact, it features 6000 ANSI lumens of brightness and 6500:1 contrast ratio for superior viewing experiences even in rooms with the lights on. Offering XGA native resolution up to 1024 x 768, the SX914 brings Colorific picture quality for crisp, accurate, and long-lasting color. LAN Control enables IT managers perform day-to-day projector maintenance and repair tasks efficiently. The projector’s 1.6x big zoom feature opens up space with a wide range of throw distances and its lens shift offers flexibility in projector placement. The SX914 is equipped with two built-in 10W speakers, supports 3D functionality, and when inactive, keeps power consumption to a minimum with 0.5W standby power. Rental and staging locations will always vary in space and size, and frequently require high brightness images to make a big impact. To meet that need, Panasonic delivers the PT-DZ870U, a single chip DLP™ projector that creates bright, high quality images. As of January 2013, this fixed installation projector was the industry’s brightest single chip DLP projector, featuring 8,500 lumens of brightness. When paired with the optional ET-DLE030 ultra short throw lens, the PT-DZ870U is ideal for any space where space is limited, achieving a short throw ratio of 0.38:1(WUXGA) and projecting a 100” to 350” diagonal image from a mere 2.7ft and 9.4ft away (respectively). The Dual Projection System, designed with two Casio projectors stacked on top of one another, projects two sharp, high-quality images, which the Convex System control box then merges into one screen. Available in two different models, the XJ-SK600 and XJ-SK650, the Dual Projection System offers brightness up to 6,500 lumens, which is roughly twice the lumen output provided by a single projector. The Dual Projection System includes two projectors, ceiling mount housing and the Convex System control box, which corrects and merges screen images. The system features high-precision correction and an interface that allows easy modifications using a remote control. Ideal for corporate rooms and large classrooms that require an installation projector, the NP-PA500U projector is integrated with RJ45, optional high-speed wireless and a multiple simple-use management technologies. As the industry’s first built-in stacking correction capabilities (up to four projectors) this model not only allows an image’s brightness to boost up to 20,000 lumens, but it also takes the worry out of presenting. In fact, its Windows Network Projector function simplifies ability to present from any computer, whether local or remote. Additionally, the NP-PA500U has ECO mode technology, which helps extend lamp life and lowers overall power consumption. Depending on light source settings, the new PT-RZ475U LED/Laser projector can deliver up to 10 years (87,600 hours) of reliable 24/7 operation without the need for lamp or filter maintenance, resulting in low total cost of ownership. The PT-RZ475U delivers excellent HD picture quality with a high contrast ratio of 20,000:1, can be used in portrait mode and has the ability to display 3D images. The PT-RZ475U is DIGITAL LINK compatible which assures end users of a much simplified AV infrastructure with high definition video, audio, and control signals all carried over a single CAT5e or higher specification Ethernet cable for up to 100 meters (328ft. )These features make the projector ideal for rental and staging applications. Perfect for 24/7 use in the harshest environments, the 70-inch P703 NEC Display delivers environmental, economic and aesthetic impact. Boasting internal temperature sensors with self-diagnostics and fan-based technology to prevent overheating and maximize lifetime, the P703 can maintain uncompromised image quality in quick-service restaurants, airports, public information areas, healthcare facilities and retail store environments. Its LED edge lighting, thinner and lighter cabinet, and customizable connectivity option, allows for decreased total cost of ownership. This new generation of display received a full chassis upgrade, an added expansion slot, faster processing times, improved daisy chain performance, and Near Field Communication (NFC) capabilities. The 72-inch class (72.0 inches measured diagonally) LG 72WX50MF-B outdoor open frame display is designed for easy integration in to a kiosk or enclosure. It features LG’s IPS display and other technologies that prevent a blackening defect, making it ideal for outdoor use in a wide range of temperature conditions. With its super high 2,000 cd/m2 brightness, it delivers excellent content visibility in direct sunlight. BenQ’s 55” RP551+ LED interactive flat panel display is perfect for enhancing any presentation, whether a classroom lesson or a business briefing. The product’s advanced five-point multitouch technology lets multiple people interact with on-screen content simultaneously. The commercial-grade RP551+ provides an average of 50,000 hours of use with automatic brightness adjustments offering the best viewing experience regardless of light levels in the room. The anti-glare treatment protects the eyes from excessive brightness and reduces reflection for more legible text and crisp images—all while reducing power consumption by up to 50%. Connectivity ports are located on the front panel for simple peripheral plugging, while Its EZ Suite software enables playback of media files including wireless display from a PC, iOS, or Android device via a WiFi accessory. Perfect for hotel lobbies, retail environments and more, the backlit 55WV70MD-BL offers a Full HD 1080p picture and is expandable up to 15 x 15 tiles, for stunning configurations. The 55-inch class (54.6-inch measured diagonally) monitor has an ultra narrow bezel of only 3.4mm (left/top) and 1.9mm (right/bottom), and functions in both portrait and landscape mode. It also incorporates an IPS panel, 800nit brightness, Local Dimming technology, Shine Out technology, and LG’s CINEMA 3D technology. The LFV50 LED professional display features an ultra-narrow bezel for near seamless video wall installation. When mounted bezel-to-bezel, the displays’ screen-to-screen distance measures 5.3 mm, which is smaller than available competitive displays in the same category .The 55” LFV50 display delivers stunning picture quality with 800 cd/m2 brightness, making it ideal for a multitude of digital signage, even in well-lit areas public information and command & control applications for use in transportation hubs, retail centers, corporate lobbies and more. Content can be displayed on the individual screens or shown across multiple displays. The displays are designed to work in both portrait and landscape orientations. Users can daisy-chain the displays via DVI-D for easy digital loop-through of the video signal for up to a 5x5 video wall, and features RS232C I/O control. Samsung’s new UD55D is an ultra-narrow bezel LED direct-lit display that is ideal for creating seamless video wall installations. With a bezel-to-bezel measurement of just 3.7mm, the UD55D delivers sharp, bright, impactful video walls. When placed in a 2x2 daily chain configuration, the UD55D can deliver 4K resolution across 4 panels, making it ideal for customers looking to make a stunning visual impact. Based on the LiveCore platform, Ascender 48 (Ref.ASC4806) is a 12x4+1 multi-screen seamless switcher offering versatile connectivity, state-of-the art processing and intuitive user interface with the Web RCS. Ascender 48 delivers varied display configurations: Mixer, Hybrid, Hard Edge and Soft Edge, and offers 6 true-seamless layers per output. Layers are individually controllable in time and transition and Advanced Layer Management ensures higher flexibility with more layering capabilities. The Calibre UK LEDView530 scaler is the perfect answer to all rental, staging and event needs with a flexible range of video I/O, per input channel color calibration and live capture of test patterns and backdrop images. It features three different operating modes for optimal use in each key environment including: LED mode for LED videowall scaling with edge-based image window area of interest definition; projection mode with warping, geometry correction, rotation and edge blending; and scaling/switching/Scan-conversion mode for general use. The PM Series is powerful, multi-platform signal switching and distribution system, combining the best elements of HDBaseT (long distance over a single CATx cable, POE, and bi-directional RS-232 / 422 control capabilities), along with Auto-Scaling and Seamless Switching technology. PM Series Switchers are configurable from 8x8 up to 256x256, and feature a modular, field-upgradeable design. Combined with PureLink's advanced Cross-Platform technology, the PM Series provides integrators with a fully customizable solution for any application or network. The Panasonic AV-HS6000 is a powerful, cost-effective 2 M/E switcher with 32 HD-SDI plus two DVI-D inputs, 16 HD-SDI outputs, 16 keyers, four independent MultiViewers, expandable clip storage, a Web server and many other advanced features.The new switcher is configurable to match an expanded slate of production needs through options including a touch-screen menu panel, extra Primatte®* chroma keyers, expandable clip storage, and an SDK for development of a virtually limitless range of customized plug-ins to suit emerging production workflow needs. Easily customizable for diverse workflows, the HS6000 is a great tool for advanced production in staging, house of worship, sports, broadcast, and education. Video devices that accept uncompressed signals such as SDI and HDMI have become more common in live production, and as a result, the need for video conversion is essential. The Roland VC-1-SC Video Converter is ideal for live production where you need analog or digital sources to match a certain SDI and/or HDMI video format, aspect ratio, frame rate, or input type. The versatility of this converter to support a variety of configurations for live production and installed application make it highly valuable in many applications. ImagePRO-II Audio is the all-in-one solution allowing users to convert any computer-based content, from social media to remote broadcasts, while handling more video inputs than ever. Available as a separate model or upgrade kit, it allows users to seamlessly integrate live feeds into the workflow to produce both pristine HD resolution video and high-fidelity sound with ultra-low latency. It also enables a wide range of options for embedding and de-embedding audio between the HDMI, DisplayPort and SDI signals and the analog and digital AES signals available on the DB-25 connector located on the audio board. The NEW BROADCAST QUAD Server offers broadcast professionals a quad 3G/HD-SDI output solution.The BROADCAST Server features 2x low latency 3G HD-SDI inputs. Along with its ability to offer subscanline-level synchronization to external sync sources, the BROADCAST QUAD Server can be used for multi-system and multi-display applications. The VR-50HD is an all-in-one Audio/Video Mixer with output for web streaming and recording ideal for conferences, sporting events, news broadcasting or any live event. It integrates an audio mixer, video switcher, multi-viewer touchscreen and USB audio/video streaming and recording device in a single unit. Video inputs can be 3G/HD/SD SDI, HDMI, RGB/component and composite making it the most versatile video switcher on the market for a live production or webcasting. The USB 2.0/3.0 output enables web streaming and recording by simply connecting to the USB port of a computer with output resolutions up to 1080p. The AV Stumpfl Curve screen is a unique projection surface for use in either single screen or multi-image display for ever more dramatic events! Curve screen is available as a modular frame system product and can be built in many sizes and aspect ratios with radius to accommodate most custom requirements. This new shape allows you to design a space for the audience to be immersed in any combination of contiguous curves and flats for a completely unique viewing experience. Black Diamond Tiles™ deliver bright, brilliant images utilizing the most advanced ambient light rejection screen technology available eliminating the need for darkened viewing areas. Black Diamond Tiles absorb ambient light from all directions and selectively reflect back the projectors light. Result is 900% more contrast in most conditions allowing projectors in any room or commercial venue.With Black Diamond Tiles, screen size can increase or decrease depending on installation by adding or removing tiles that attach with Neodymium magnets to a grid frame in landscape/portrait orientation. Backlighting is supported. Mounting options: Wall or suspended from ceiling with aircraft cables. Draper’s Lace & Grommet screen features a 3” powder coated black aluminum tube frame for projection screens up to 100 feet wide. Frame sections attach with quick connectors for simple, secure assembly; bungees ship attached to frame, so there is no lace threading required. Draper’s Lace and Grommet screen can be curved to your specifications. Tight radii, multi-axis curves, or even circular screens are available. The screen can be flown, wall-mounted or floor supported. Trim options are rigid PVC with black VelTex covering or soft black IFR Velour. Multiple viewing surface options are available from Draper’s extensive viewing surfaces collection. ATEM 1 M/E Production Studio 4K is an advanced Ultra HD live production switcher with 6G-SDI technology available for US$2,495. It lets customers connect up to 10 SD, HD or Ultra HD 4K video cameras, disk recorders and computers for live production. ATEM 1 M/E Production Studio 4K includes the features expected from a professional switcher: 4 chroma keyers, built in full motion DVE, transitions, large media pool, 2 downstream keyers, 3 independent aux outputs, built in multi channel audio mixer, multi view, re-sync on all video inputs and all connections feature the latest 6G-SDI and HDMI 4K video technology. The Pandoras Box QUAD Server version 5.5 is a turnkey solution that unites state of the art rendering technology with intuitive media- and show control. It features a realtime render-engine and a true 3D compositing environment that allows for projections onto any shape and any surface. Version 5.5 allows image sequence playback, Widget Designer 4.5 integration, the use of playlists, interactive content and offers an integrated web server. The SSD editions are perfect for 4K scenarios. Being able to fully synchronise, distribute and manage content makes Pandoras Box an indispensable tool. IntelliEvent Lightning Enterprise is a cloud based, full-featured event management system, scalable to the largest organization requirements. Designed from the ground up, IntelliEvent Enterprise is a customized solution with the flexibility to manage your workflow for your specific business. With a powerful SQL back-end using an industrial strength data repository, Lightning can manage the largest storage requirements while providing integration opportunities to share data across the business infrastructure. Based on the best practices of rental operations, Sirius e was designed from its inception, to be a complete rental, distribution and service application by combining a Windows application, a web portal with mobility through the cloud. Sirius e is a complete new rental software developed with the newest technology and an SQL database. Chief’s Extra-Large Fusion Mobile Cart provides sleek aesthetics and easy mobility for the staging and rental market. The black or silver finish cart continues the tradition of Fusion by including features for easy customization. The cart accommodates extra-large and touch panel displays from 55” to more than 100” and up to 300 pounds. A turn knob allows a single user to easily adjust the screen 48-65” in height. Flexible cable covers make lay-in access down either side of the column easy, and there is room for internal storage of AV components, including hardware to vertically mount 2 RUs of gear. Transmits uncompressed 1080p full HD content up to 10 meters supporting 3DTV and audio formats including High Bit Rate 7.1 channel Dolby True-HD and DTS-HD Master Audio. It uses wireless technology based on the 60 GHz Extremely High Frequency radio band. It is easy to install, providing a plug and play setup. Content is transported wirelessly at 4Gbps from source to display. It offers a small footprint, full HDCP compliance, low pricing and a high quality signal extension of HDMI. It is a great solution for anywhere it is challenging to run cables. Featuring a new thinner chassis, Edge-lit LED backlights, duel expansion slots and Near Field Communication (NFC) capabilities, the P553 NEC Display commercial-grade display is ideal for harsh install environments. This new generation is up to 56 percent thinner, 50 percent lighter and consumes up to 33 percent less power – all resulting in reduced installation costs and total cost of ownership. Boasting internal temperature sensors with self-diagnostics and fan-based technology to prevent overheating and maximize lifetime, the P553 can maintain an uncompromised image quality in quick-service restaurants, airports, public information areas, healthcare facilities and retail store environments. ClickShare Inside couples two of Barco’s flagship products, the ClickShare wireless presentation system and our Present business projectors, to enhance collaboration in meeting rooms. This new option consists of a CSM Base Unit and three cables that fit right under the hood of a Present projector, allowing users to wirelessly share their content on-screen to enhance meeting dynamics and decision-making. Present projectors are available from 4,650-8,500 lumens in a variety of resolutions. Users can present via a ClickShare Button, by installing the ClickShare Presenter app on their Android or iOS smartphone or tablet, or by using the Button Manager software. The Widget Designer Version 4.5 offers a flexibility second to none when it comes to enabling non-specialists to create their own custom control interfaces. No other product standardises such a vast number of creative approaches towards creating and controlling interactive media projects.The latest version offers TUIO input support, mouse and touch injection, gesture support and advanced remote tracking features. The Widget Designer’s new PB menu consists of an FTP Server & Client for managing or uploading files. PB Remote now features advanced system monitoring and remote file management. BrightSign’s 4K digital signage media player is the first to deliver true 4K video playback of 3840x2160, H.265-encoded content at 60 frames per second via HDMI 2.0. Each of these new standards for video resolution, video compression and output to a TV display is necessary to provide a true end-to-end 4K solution, and BrightSign is the first commercial-grade solid-state player to deliver on all fronts. Competitively priced at under $1,000 and shipping later this year, BrightSign will offer three feature-specific BrightSign 4K models. The new Pandoras Box Compact Player is a hardware based media player that is both small in size and great when it comes to reliability and power.Whether as part of a cutting edge digital signage installation inside a modern museum or even on board a cruise ship, this latest addition to the Pandoras Box product family can play a vital role in a great number of different professional playback scenarios. WATCHPAX 2 is a sleek, solid-state media player that's performance-optimized for your Dataton WATCHOUT system. It features built-in WATCHOUT software giving you the power of WATCHOUT show production tools without the hassle of fine-tuning computers or running long video cables. WATCHPAX is plug and play, making life easier for show operators and integrators. It features dual video outputs, doubling the number of displays you can run from a single unit. WATCHPAX 2 measures 5 x 6 x 1 inches and weighs just 16 oz, discreet enough to sit on the back of a display or even out front. Industry's first commercial-grade 4K networked and interactive media player. The unit delivers four-times the resolution of full HD plus substantially more vivid colors and is about half the cost ($399) of other similar devices on the market. With 16GB of internal Flash and optional expanded storage, it supports local file playback in addition to streaming 4K Ultra HD video to any 4K-capable display. It can also be used for playback of multiple HD lower-resolution video zones. Provided with a three-year warranty, the player has MicroSD and USB 2.0 and USB 3.0 connections for accessories and storage attachments and is connected with onboard Ethernet, Integrated WiFi and Bluetooth capabilities. The Samsung D Series commercial displays, featuring the next generation Samsung Smart Signage Platform, introduce a flexible new design approach featuring replaceable bezels in a variety of colors that enable users to customize signage to match any environment. The enhanced Smart Signage Platform system-on-a-chip provides support for more advanced applications, including touch and video wall configurations, all without the need for an external media player or PC. Designed for easy installment, the V801 NEC Display commercial-grade LCD monitor is an 80-inch large-screen display that is LED Edge-lit and has a slim cabinet depth, a super lightweight design and an OPS-compliant expansion slot. The V801 is ideal for applications that require larger screen sizes such as locations in education, retail, restaurants, training facilities and corporate boardrooms. The V801 has integrated temperature sensors and fans, allowing this model the ability to handle extended use. Between its slim depth, full-HD capabilities and OPS slots, the V801 provides more options for distinguishing themselves within an attractive total cost of ownership model. A new family of rugged, reliable indoor and outdoor LCD advertisement kiosks in 55” and 72” formats, available as single- or double-sided displays for both floor- and wall-mounted styles. Easily changeable skins facilitate fast customization, making them ideal for airports, rail stations, shopping malls, and point of sale, and outdoor displays. Interactivity-boosting features include touch technology, cameras for audience measurement, gesture control, NFC, WiFi, and Bluetooth to integrate with social media and mobile devices. An integrated heat management system, content and display management and optional I-Guard technology is available, which continually analyzes images to correct instabilities and maximize display uptime. The Peerless-AV Pico Broadcaster is a digital signage integrator’s dream. It broadcasts HD content to an unlimited number of DTVs that have an ATSC tuner and over-the-air antenna within a 350ft (106m) radius. This FCC compliant broadcast device accepts content from a computer or media player with IP transport stream output capabilities and then broadcasts the signal to any open “white space” channel local to the area. The Pico Broadcaster is not only a convenient, powerful and flexible media distribution system, but may be the most cost effective media device for a digital signage application.